The ZymoBIOMICS™ DNA Mini Kit is designed for purifying DNA from any sample input (e.g. feces, soil, water, and biofilms) that is immediately ready for microbiome or metagenome analyses. This kit features an innovative lysis system that eliminates the bias associated with unequal lysis efficiencies of different organisms, making it ideal for microbial community profiling. 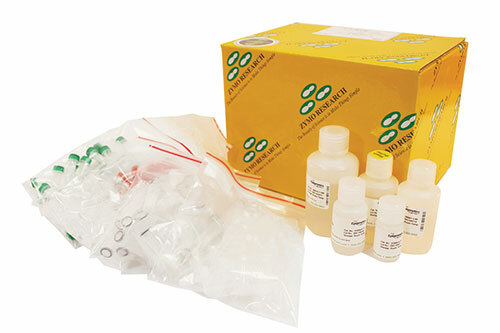 In addition, extracted DNA is inhibitor-free and ultra-pure for use in all sensitive downstream applications.